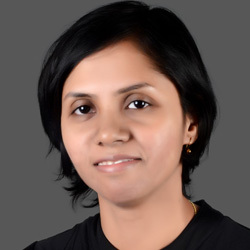 Anju Ghangurde is Scrip's Deputy Asia Editor and has about two decades of experience in journalism including stints at India's mainstream financial dailies -The Economic Times, The Hindu Business Line and The Financial Express. She covers a broad range of issues including competition and collaboration between generics and innovator firms, drug pricing and the evolving regulatory and legal framework in the region. She is also a recipient of the British Chevening Scholarship for Young Indian Journalists (2000-01) awarded by the Foreign & Commonwealth Office. Top Sun Pharma executive Abhay Gandhi and his wife have settled a case pertaining to alleged insider trading in shares of Ranbaxy around the time of the company’s acquisition by Sun from Daiichi Sankyo in 2014. Sun, which has been firefighting a raft of governance concerns, has vouched for the executive’s integrity. Abbott’s innovation and development center in Mumbai has made significant progress in shaping incremental but impactful innovations for India and some international markets. A once-daily formulation of heart failure drug ivabradine has caught the attention of the innovator company too.